Garage organization is a great way to maximize your storage space and still have plenty of room for your tools and outdoor toys. For many homeowners, garages are a place to store cars and piles of “stuff” to be dealt with in the future. Allowing your garage to become a catch-all for “stuff” limits its potential and makes it difficult to find the things you actually need. Crafting a battle plan to organize your garage begins with a shopping trip to your local hardware store to get the items necessary for a transformation. Uncovering the surfaces of your garage is the first step to organization. Begin by setting out three tarps to help you organize the contents of your garage. The tarps will be landing pads for the items in your garage, with each tarp holding a different category of items: items to throw away, items to donate, and items to keep. Once you’ve created your piles, gather the items for the trash into your garbage bags. Place the items for donation into your car to drop off later. Set the items that you wish to keep aside while you reorganize your garage. Investing in storage options for your garage can make a big difference in your organization. Installing shelves can dramatically increase your vertical storage space. Wall hooks give you a place to easily hang tools that you use frequently, including rakes and shovels. If you have children or pets, it’s a good idea to buy locking cabinets for storing toxic materials, such as weed removal sprays. Pegboards offer another useful way to add more vertical storage; you can hang up the pegboard yourself and arrange the hooks just the way you want them. Amassing a large collection of clear storage bins from your local hardware store can give you plenty of places to put odds and ends without creating messy piles. You can use stickers or labels to clearly identify the contents of each bin. If you installed shelving in your garage, buy containers that will easily fit onto your shelves. Group similar items into your bins to make it easier to find something when you’re in a hurry. Once the surfaces of your garage are clear, it’s time to mix elbow grease and cleaning products to make the place shine again. For this job, you’ll need heavy-duty cleaners that are tough on grease and oil. Don’t forget to pick up plenty of rags and sponges. It’s also a good idea to invest in some protective gear, including goggles and a face mask, in case any unwelcome pests have taken up refuge in your garage. 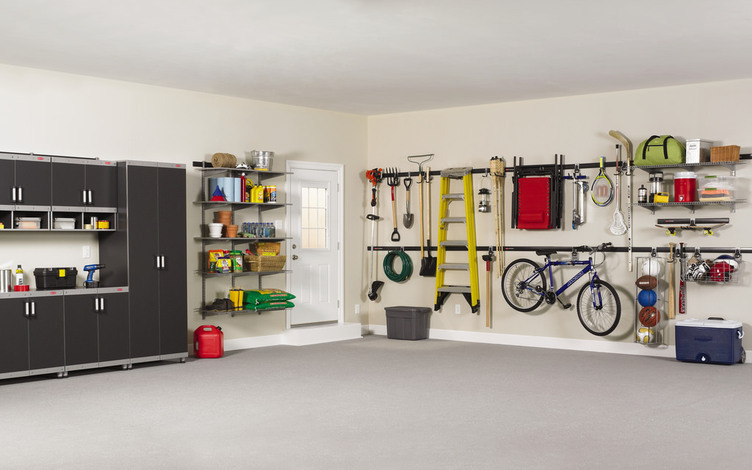 Organizing your garage is a great way to add more useable space to your home. 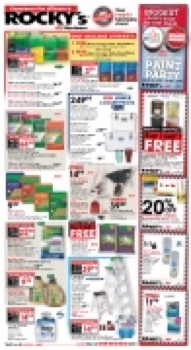 If you’re ready to start the path towards less clutter, visit Rocky’s Ace Hardware today for the items you need to get organized.